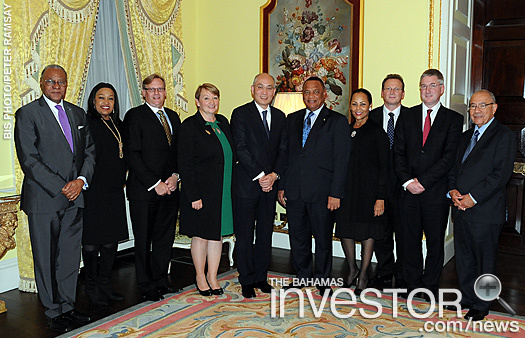 Prime Minister Perry Christie was in London November 12, 2013, where he met with the principals of Hutchison Whampoa to discuss future investment prospects in Grand Bahama. 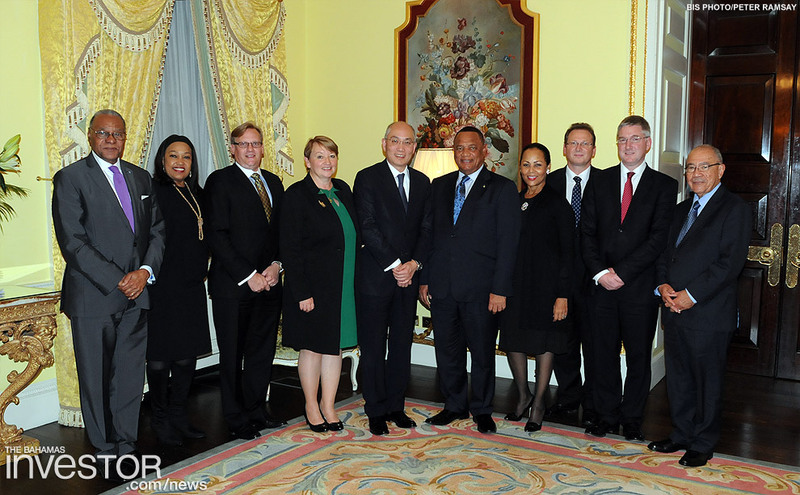 Prime Minister Perry Christie was in London November 12, 2013, where he met with the principals of Hutchison Whampoa to discuss future investment prospects in Grand Bahama, before heading to Sri Lanka for the Commonwealth Heads of Government Meeting (CHOGM). 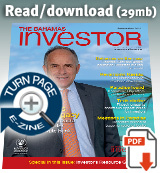 Commonwealth Bank reported positive third quarter results yesterday, with a comprehensive net income of $39.3 million. Pictured: William B Sands, Jr, executive chairman of Commonwealth Bank. Prime Minister Perry Christie arrived in Colombo, Sri Lanka, yesterday to attend the Commonwealth Heads of Government Meeting.